Experience “A Bit of Peace” on your vacation to some of the most stunning beaches across Northwest Florida. Tucked away in Seagrove Beach’s Nature Walk community, delight in exciting community amenities set in an idyllic location on the beach. Surrounded by lush magnolias, oak trees, and more, the gorgeous Florida foliage creates a sense of tranquility to accompany your beach vacation. 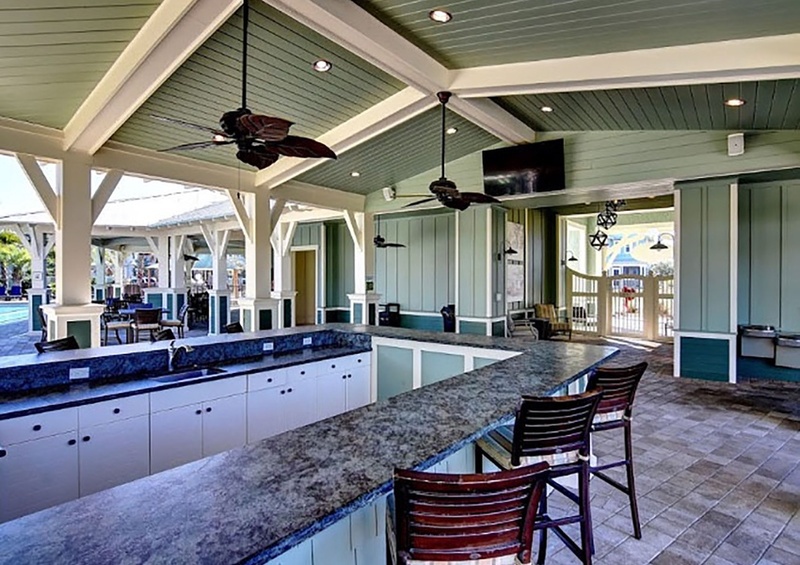 This vacation home on Scenic 30A is sure to be one of your favorite spots on the beach. Step inside A Bit of Peace and find four bedrooms and three and a half bathrooms spread out over two floors. Bring along up to nine guests to truly experience the comfort of this home. Adorned with shiplap, bright light fixtures, and sparkling granite counters in the kitchen and bathrooms, this charming coastal home reflects the beauty of the nearby beaches at every turn. All bedrooms are located on the second floor, along with three of the full bathrooms. The master bedroom, second bedroom, and fourth bedroom all feature balcony access overlooking the neighborhood. Meanwhile, in the master bathroom, you’ll discover a spacious walk-in shower and oversized garden tub perfect for soaking in. Cozy up around the outdoor fire pit as you share stories of your day of fun. Unwind with a cookout on the gas grill and a game of corn-hole, or make use of Nature Walk’s community grills. In addition, beach access is just a short stroll away, allowing you to luxuriate in the sand at your leisure. Then, when you return from the beach, leave the sand behind with the home’s outdoor shower. Nature Walk provides you with a range of community amenities to keep you entertained all vacation long. Take the complimentary in-season shuttle service to the beach and get ready to enjoy some fun under the sun! You have your pick of three pools at Nature Walk, including a heated lap pool, zero-entry pool, and a kiddie pool, as well as a kid’s play area. Then, ease down into the hot tub to relax your muscles after a long day. 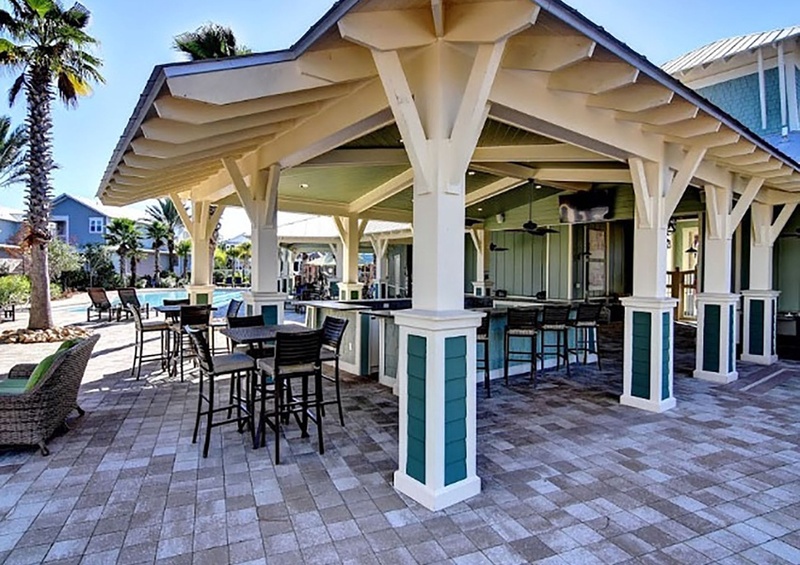 Additional amenities also include a basketball court, pickleball court, poolside bar, and outdoor picnic area. When you stay at A Bit of Peace, you’re just minutes away from delicious restaurants and exciting events in Seagrove Beach. From unique art festivals and local shops boasting eclectic pieces, there is so much to uncover on 30A. Grayton Beach and Seaside are also just a short drive away, so you can visit these areas at your leisure. Be sure to also use our Gulf Coast Guide as your tool for things to do on 30A! Reserve A Bit of Peace with Southern today!